The NEW for 2016: Log Flume Water Slide! Who wants to zoom down the flume? 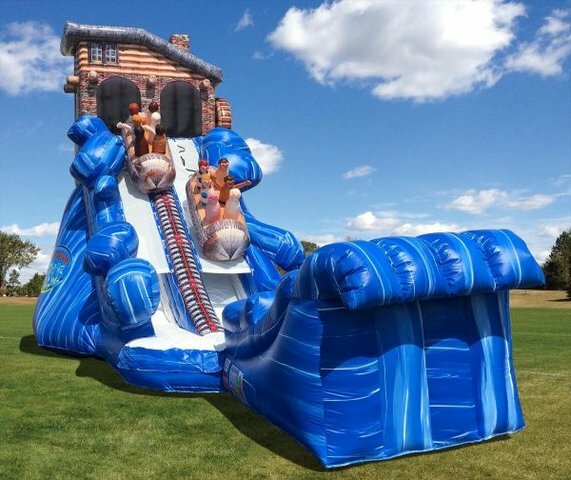 Cool off with this exciting new water slide. Kids and adults can get in on the action by climbing up the steps all the way to the top. One you make it to the top, sit down, take a deep breath and GO! Zoom all the way down the flume, kicking up water getting soak and wet. So much fun in the summer time.